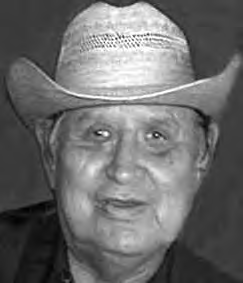 Roland “Trulo” Columbus (Anpetu-Tawa) age 84 of Redwood Falls, formerly of the Lower Sioux Community, entered the Spirit World on Saturday, October 14, 2017 at Sunwood Good Samaritan Care Center in Redwood Falls. Roland Columbus was born April 22, 1933 in Morton, MN to Thomas and Eleanor (St. Clair) Columbus. 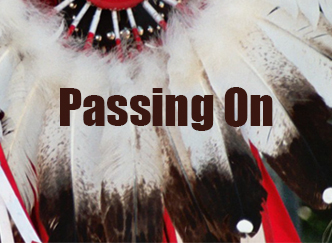 He was raised by his grandparents and attended school at Morton and Flandreau Indian School. Roland served in the US Air Force during the Korean Conflict from 1949-1954. He was in a plane that was shot down. He stayed there for seven days before he was found. He was a paratrooper for three years under strategic command doing US security. Trulo worked for 40 years in Arizona doing police work. He also was a professional musician and performed with Glen Campbell, Willie Nelson, Box Car Willie & Suzy Bogguss, amongst others. He sang and played the guitar, banjo and all string instruments. He could also play the drums. Trulo was an awesome storyteller and he loved to tell jokes. He enjoyed shopping at thrift stores, music stores, and the western store. Roland was one of the last remaining fluent Dakota speakers. He loved to go for car rides, especially along the river bot-tom. Roland also enjoyed gambling, watching Vikings football and boxing, and spending time with his family. Roland is survived by his wife Fawn; children Virgil Blacklance and Mary Ellen Olson; grandchildren: Albert, Marissa, Hoksida, Wachiti and Lena Blacklance and Tamera Dufney; three great granddaughters, four great grandsons, one great great granddaughter; siblings: Tim Columbus of San Diego, Lillian Wilson, LaVonne Swenson, Melissa (Chris) Chee, Vince Columbus all of the Lower Sioux, Christopher Columbus of Redwood Falls, Marilyn Hisday and Dana Grey Eagle both of the Lower Sioux; and many other relatives and friends. He is preceded in death by his parents Tom and Eleanor Columbus, Moses Columbus, Lucy Wells, brothers: Delano, Clyde, Leon, Glenford, Alvin and Kevin Columbus; sisters Ramona Columbus and Sandra Geshick; and several nieces and nephews, and his dog Banjo. Funeral services were held at St. Cornelia’s Episcopal Church- Lower Sioux Community. Interment was at St. Cornelia’s Cemetery. Online condolences may be sent at www.stephensfuneralservice.com.